(Male) and Nursing Attendant (Male). freedom fighter quota and disable candidates. If you want to apply this jobs circular can be applied. First, go to apply Link and click this link. 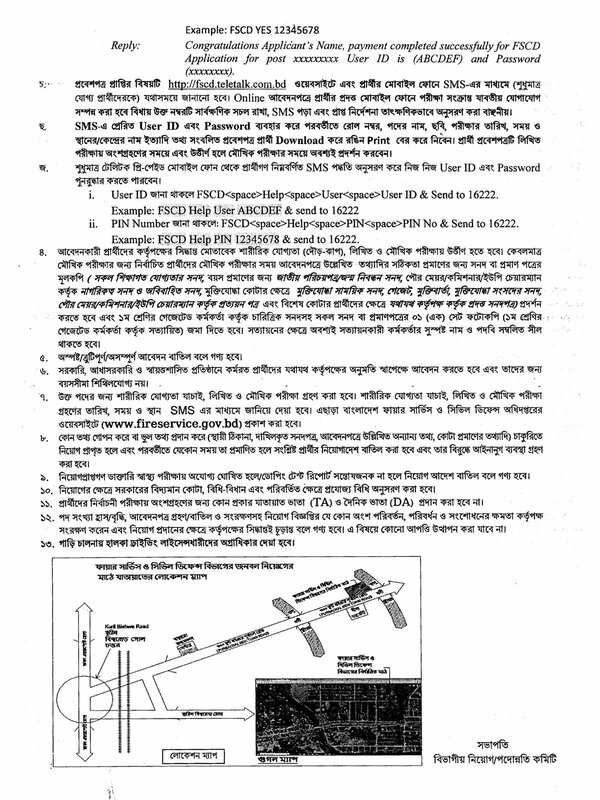 After Click, You can Fire Service Civil Defense Job Circular Read this carefully and fill up your information. Reply: Applicant’s Name, Tk-56 will be Charged as Application Fee. Your PIN is (8 digit number) 12345678. To Pay Fee, type FSCD < Space>Yes<Space>PIN and send to 16222. Reply: Congratulations! Applicant’s Name, payment completed successfully FSCD. Application for post xxxxxx User ID is (ABCDEF) and Password (xxxxxxxx). FSCD Admit Card Online Downloadable link is found here. Thus, FSCD will be notifying their Recruitment Admit Card Download Time and Date. Hence, All Applicants have to download FSCD Admit Card via their Official website at fscd.teletalk.com.bd. Directorate of Fire Service and Civil Defence Bangladesh is a service-oriented first responding government organization of the People’s Republic of Bangladesh under the Ministry of Home Affairs. Fire Service and Civil Defence job position are as follows Fireman (Male), Duburi (Male) and Nursing Attendant (Male). Application deadline is 14th December 2018. 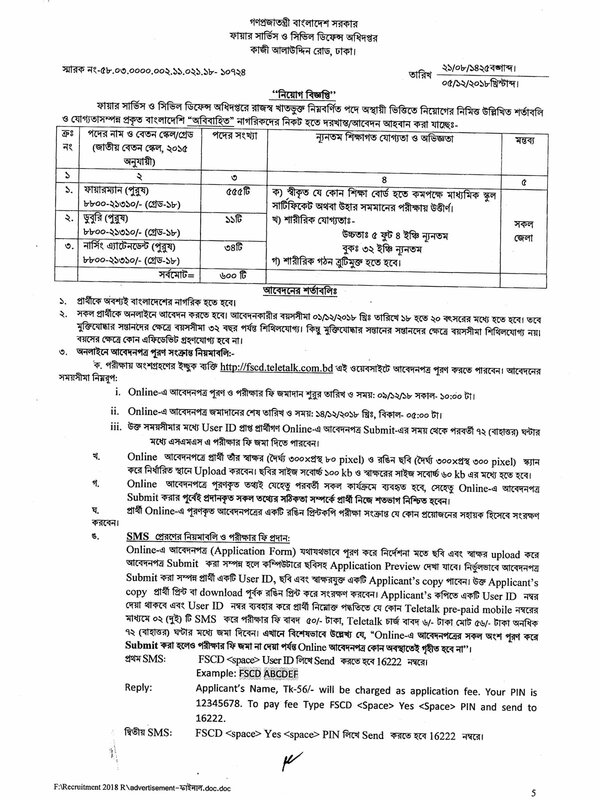 Fire Service Civil Defense Job Circular 2018.